When two people form a relationship or marry, they begin to move towards one another with the expectation of closeness. The emotionality or intensity that accompanies this process, however, may result in fusion followed by a desperate need for space or distance. 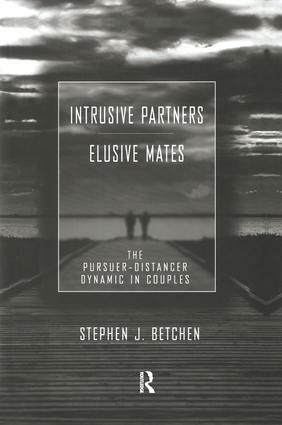 Intrusive Partners - Elusive Mates is the first book to deal exclusively with the pursuer-distancer interaction, and to focus significant attention on the emerging male pursuer-female distancer dynamic. This book revisits Fogarty's work, traces the concept over time and across different professional fields, and discusses in detail the concepts correlation with gender issues and social change. A detailed, step-by-step model of treatment to aid in de-escalating this potentially problematic style is also offered. The model in and of itself is unique because it integrates psychoanalytic conflict theory and psychodynamic systems theory into one treatment approach. This book is intended to offer the therapist a model for understanding and effectively discussing this dynamic, while at the same time allowing couples to read and explore it on their own.